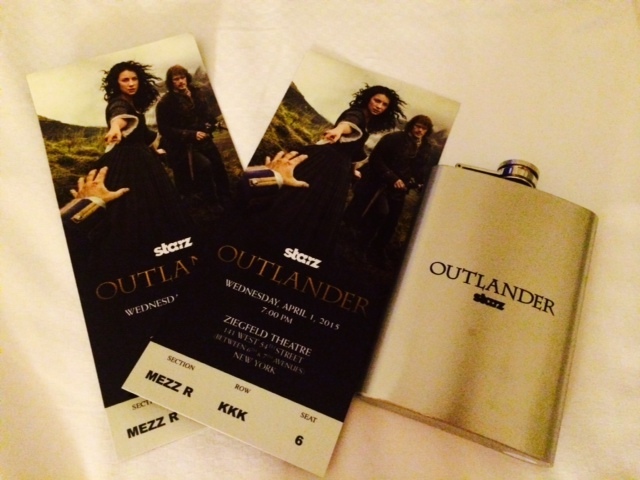 Weeks ago, when I got tickets to the Outlander Premiere in New York, I almost couldn’t believe it was real. I didn’t even tell some of my closest friends for fear that there had been a mixup. After attending the event on Wednesday night, I still can’t wrap my mind around it. If I didn’t have my passes, my new souvenir flask and more pictures than I know what to do with, I’d think it was all a dream. You know what? Scratch that. 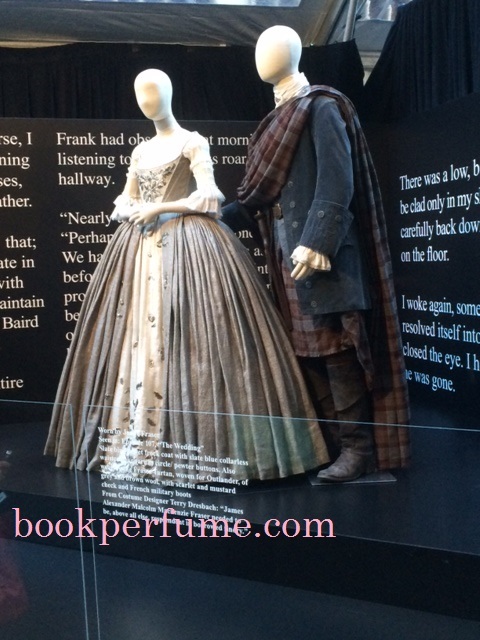 I know it was real, but for this Outlander fan, it was still a dream. 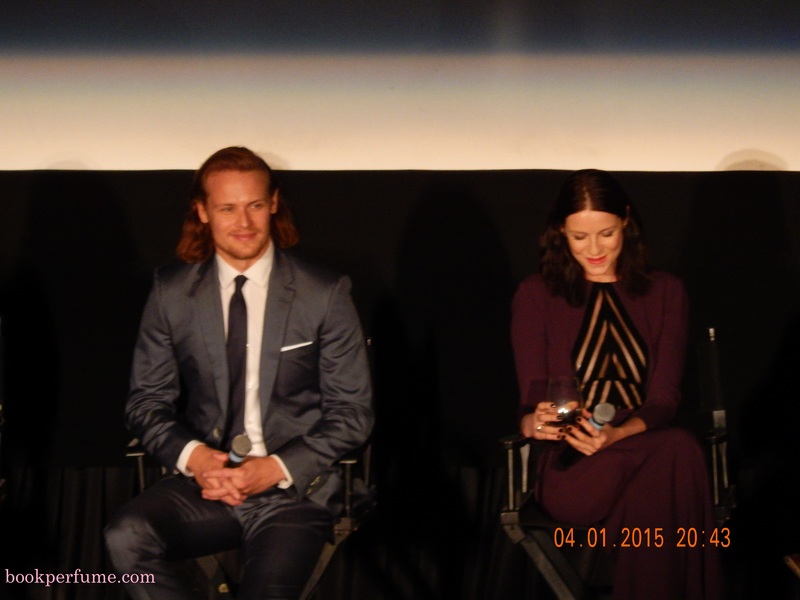 The Tartan Affair that Starz put together was everything I could have wished for and more. The atmosphere outside while we waited to be let in was indescribable. 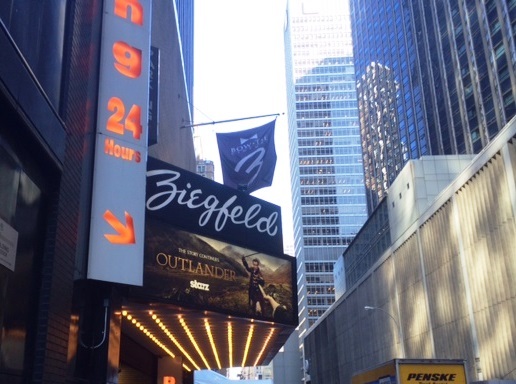 Fans lined the streets, decked out in plaid, while bagpipers played “Skye Boat Song” (the opening theme) and guys in kilts waved tartan Outlander flags. I was so hyped up that I didn’t even realize how cold I was until my fingers stopped being able to snap pictures. But did I care? Nay. This wee Scottish lassie was having the time of her life. And that was before I even entered the Ziegfeld Theater. I honestly don’t know what part of the night was most exciting. 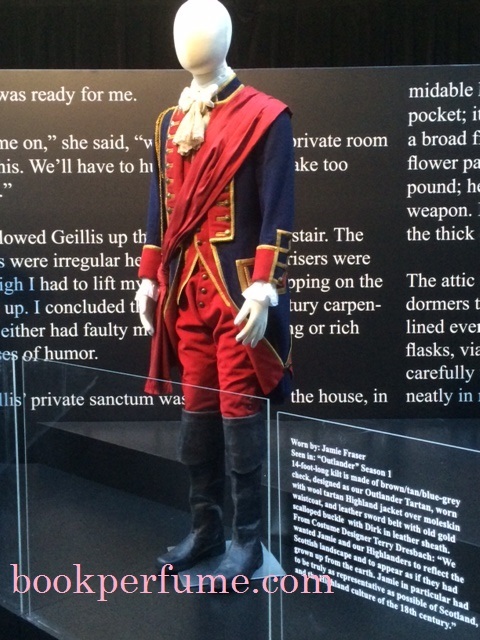 I have to say that entering the costume exhibit and laying my eyes on this was pretty close to the top. 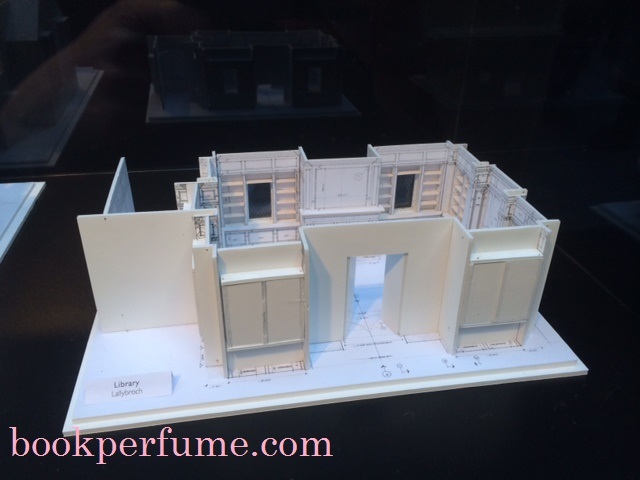 I’m pretty sure they could hear my gasp all the way in Loch Lomond. Yup. 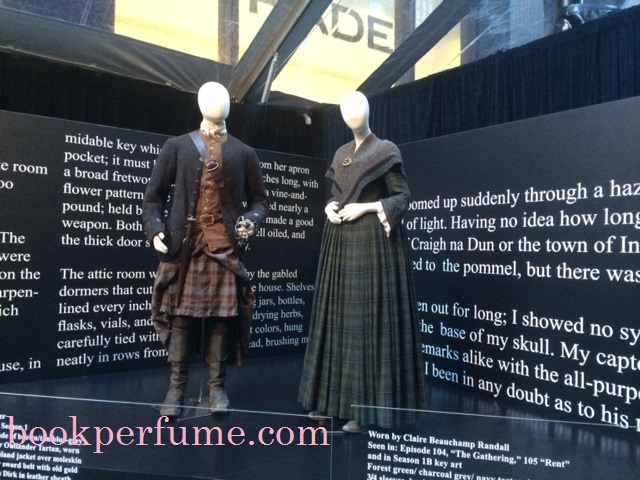 Just Jamie and Claire’s wedding clothes. No big deal. 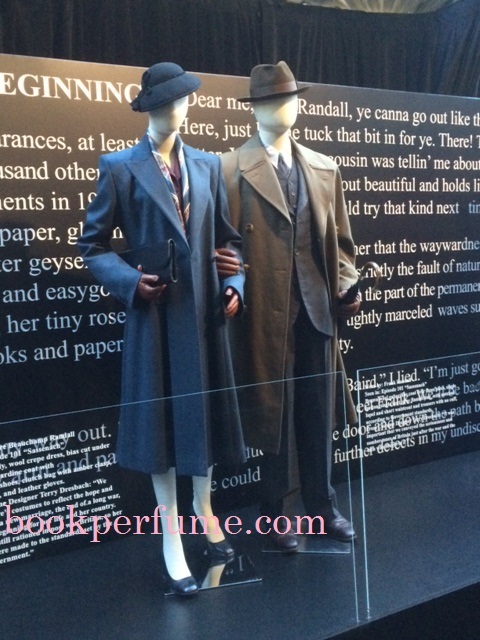 Claire and Frank’s 1940s garb. You know, before the whole Craigh na Dun thing. Black Jack. I don’t even have words for this one. 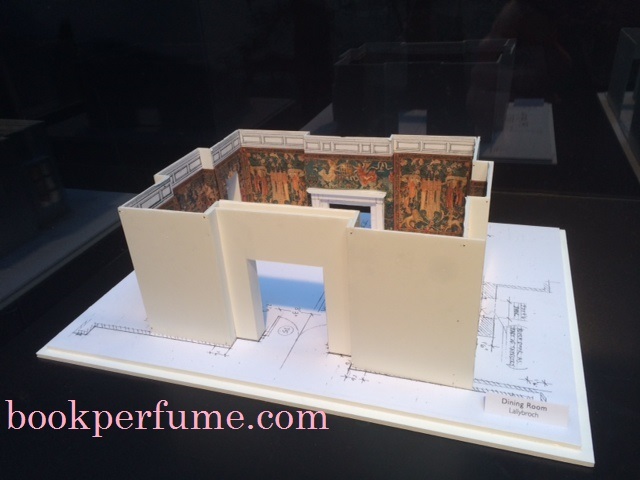 Like any good Outlander fan, watching the show at home each week isn’t just standard television viewing for me. It’s an experience. No one is allowed to call me. No one is allowed to speak to me. My dog isn’t even allowed to go outside, because he knows that Jamie Fraser cannot be paused. (Unless it’s an intentional pause on a later viewing to confirm that he is, in fact, that beautiful.) I love my Outlander ritual, but after watching the episode with a theater full of fellow die-hard fans, I’m wishing we could make this a weekly thing. Watching the episode together was magical. Singing the opening theme together was magical. Cheering together over Jamie ordering Black Jack (again) to take his hands off his wife was definitely magical. I had chills throughout the entire hour just from the experience of watching the episode—and the episode itself, well, it was complete perfection. I’ll spare you the details since it hasn’t aired yet, but I’ll just say that I can’t wait to watch it again tomorrow night. With my tea. And my ringer off. And my dog quietly occupied with his treat ball. They call this the Scottish Smolder, Sassenach. 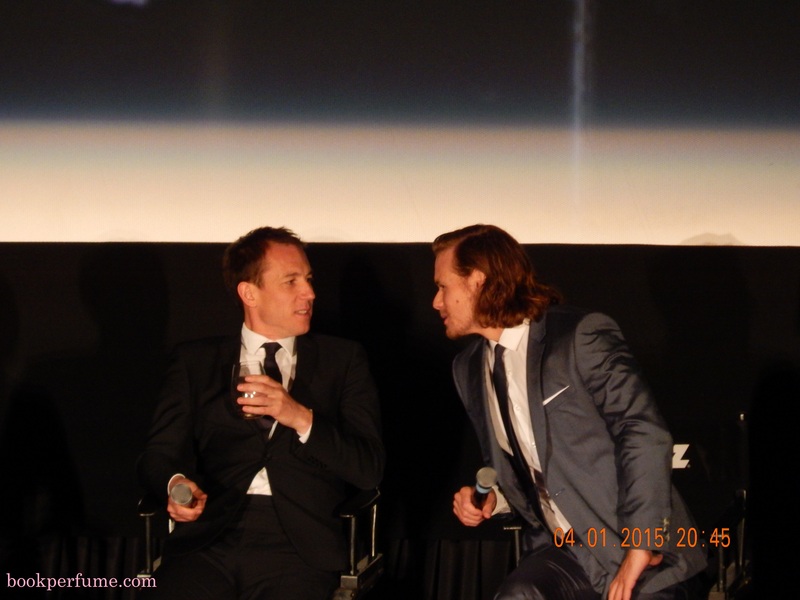 Like Jamie, Sam is a regular Bob Hope. Yes, Black Jack. You should be afraid of Jamie. Verra afraid. These books are such a huge part of my life, and seeing the story so beautifully adapted for television has been a dream. The first eight episodes were brilliant, and when Droughtlander started last September, I never thought the mid-season premiere would ever get here. I definitely never imagined that I’d be able to attend an event like this one. I was already beyond excited for the rest of season one, but after seeing episode 109, I almost can’t contain myself for what’s to come. 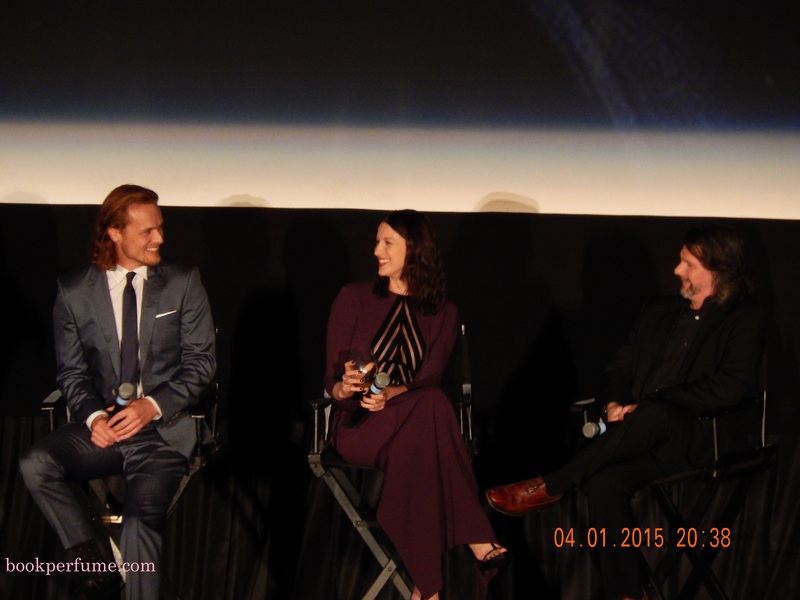 Sassenachs, the wait is over!!!! Eight more weeks of JAMIE FRASER!!! 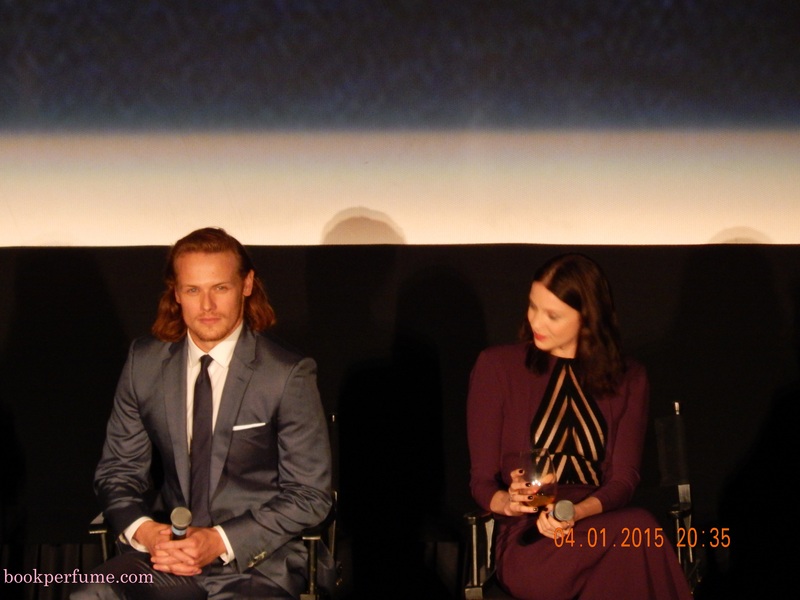 Miss any Outlander Week coverage? 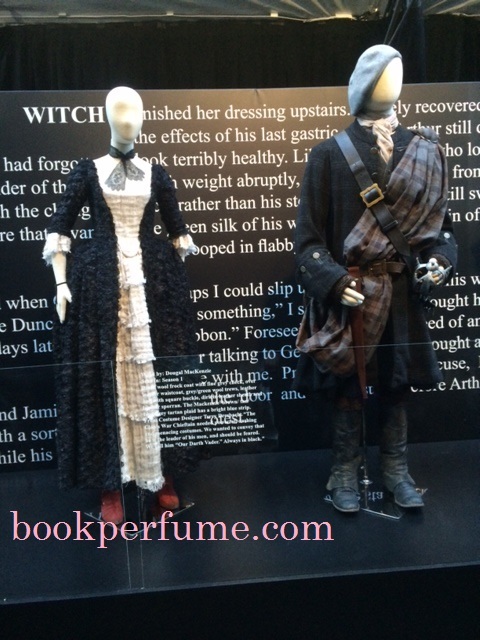 Visit all of my Outlandish posts here. Good description of a very entertaining night. To see your dreamy, contented, excited smile all night long made for a wonderful day with my daughter in NYC. Thanks for taking me!